Diannae Ehler is a 34-year veteran of the PANYNJ and currently oversees a department responsible for the operation and maintenance of one of the nation's busiest transportation networks, including the George Washington Bridge, Goethals Bridge, Outerbridge Crossing, Bayonne Bridge, Lincoln and Holland tunnels, the Port Authority Bus Terminal and the George Washington Bridge Bus Station. She has held positions of increasing responsibility in the Engineering, Port Commerce, Aviation and TB&T department. 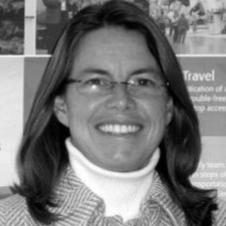 Prior to being named Director, she served as General Manager of the Port Authority Bus Terminal and Lincoln Tunnel were she spearheaded the Port Authority's plans to upgrade the Port Authority Bus Terminal and help lead planning for its rebuilding. During the summer of 2012, Diannae also served as Acting Deputy Chief Operating Officer for a four-month period.